My Paper Bead Garland has arrived! Happy Friday to You! I am now finished with a new item I’ve mentioned earlier in posts! This weekend, my paper bead garland will be revealed and you get a sneak peek right here! This garland has been a time consuming project but I am finally finished and VERY PROUD of how it turned out! Would love to hear your thoughts! Do you decorate for the seasons? My decorating passion comes from my 26 years working for Hallmark Cards! We’ve always decorated through the years and this year won’t be any different! 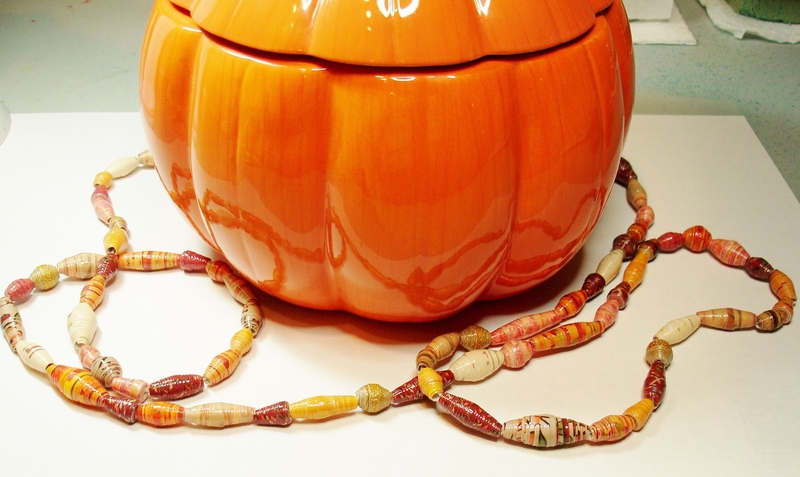 And with Fall right around the corner, I Cant Wait to pull out my Fall decorations and add something new this year…Paper Bead Garland! 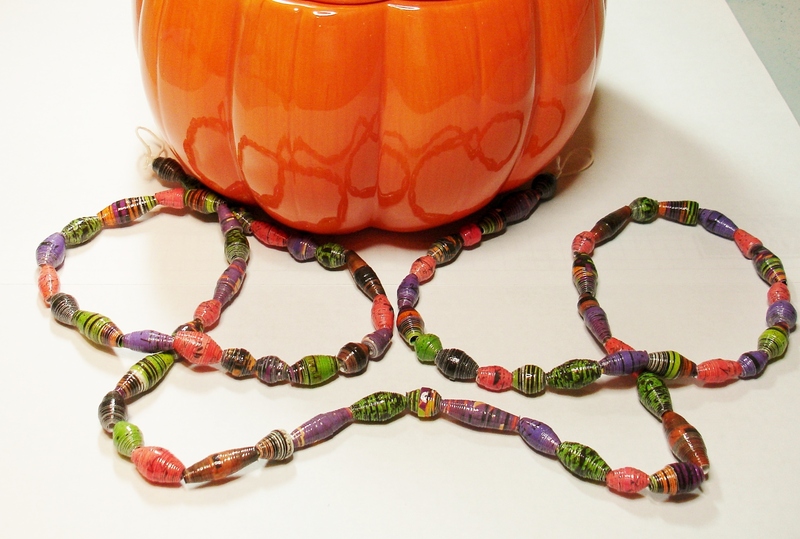 If you like this, you’ll be anxious to see my Christmas paper bead garland coming soon! Stop by ThePaperBeadBoutique.etsy.com to get yours, this weekend!